Our transportation services has an impressive fleet and wide-ranging logistics services that can help you increase your container payload. If for any reason you have any questions or comments about our transportation services, feel free to give us a call at 630-206-1532 or fill out the form to the right and a representative will respond shortly. ITL also has equipment to handle your overweight or heavyweight containers. 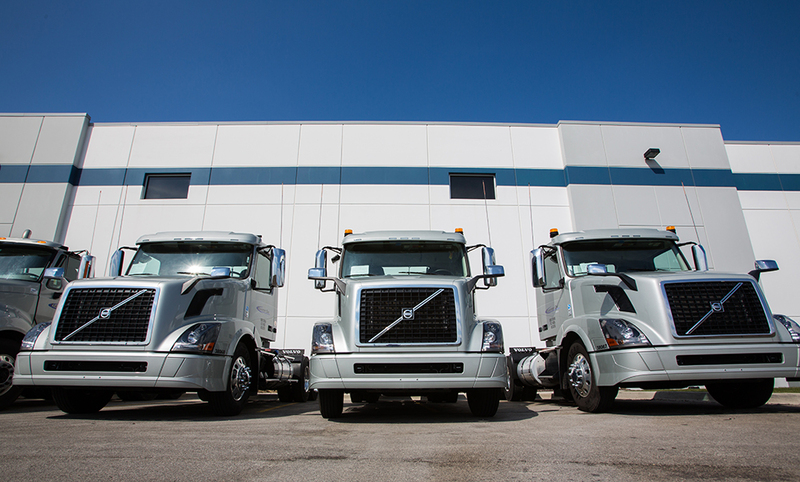 Our transportation services can provide a larger than normal fleet due to being authorized by the United States Government to broker other trucks as well. Our transportation services available from the intermodal drayage experts at ITL Chicago will get your industrial transportation to and from the rails and depots handled in the safest and quickest ways possible with varying chassis and specialized professional equipment dedicated solely for intermodal drayage. All flatbeds are loaded inside our impressive facilities, so your shipments will never be exposed to the weather. Our transportation services feature an extensive dedicated fleet of trucks to handle any sized intermodal transportation job with ease and efficiency. The transportation services offered by ITL Chicago are very reasonably priced compared to other logistics companies and with over 18 years of experience you can trust ITL to get the job done on time and on budget. Our philosophy is to handle the Logistics Cycle from A to Z at the most reasonable price. If for any reason you have any questions or comments about our transportation services, feel free to fill out the form to the right and an associate will respond shortly or give us a call at 630-206-1532.